• In a tight game, Bears head coach Matt Nagy was confronted with a critical decision. Both defenses had played well up to this point, and points were at a premium. Nagy decided to go with a fake punt, and it was stymied. The Packers gained emotional momentum, taking over on the 50-yard line. Quarterback Aaron Rodgers promptly drove the Packers down for a touchdown and two-point conversion, tying the game at 14. We felt this was a poor decision by Nagy, as the Packers had not had much momentum all game long, but the stuff on this particular play gave their entire squad confidence. 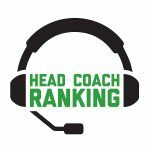 • We don’t know who the next Green Bay Packers head coach will be, but it is apparent to us that the offense will need to be completely rebuilt. It has devolved to the point where virtually every passing play has become one that generally progresses to a schoolyard outcome. In our opinion, we believe the Packers need to get back to playing with a fullback and multiple tight end sets. • We like the Bears’ chances in the playoffs, but quarterback Mitch Trubisky and running back Tarik Cohen will need to play better situational football. In this game, Cohen caught a short pass for a sure first down in a critical situation, but ran out of bounds short of the sticks when he could have easily gotten the first down. We don’t know what he was thinking there, but if the Bears are going to go deep in the playoffs, they will have to minimize their mental mistakes. • The Bears offensive line is showing greater vulnerability week by week. In the last two games of the regular season, we’d like to see the Bears line up just a bit tighter and run the ball downhill a bit more. Their offense, at the moment, is a bit on the undisciplined side. It isn’t as crisp as it was earlier in the season.